Congratulations! Earning your CPA designation is an admirable accomplishment and an important stepping-stone for your career. While you’ve made it through the hardest part (yay! ), deciding what to do next is, unfortunately, not necessarily an easy task. Most people might assume that getting your CPA designation only entitles you to work as an accountant at some big firm; while you could take that route if that is what you want, that doesn’t mean that it is actually the only one available to you. In reality, there are quite a variety of career options for new CPA’s. Sure, you can take the traditional approach to finding your way in the business world, or you can get creative and pursue a more unique career. Being a CPA will help either way – that’s (one of the reasons) why people become CPA’s. For anyone hoping to build a career in business, becoming a CPA is one of the best ways to start. CPA’s make up essential positions in businesses across all industries, all around the world. There are a number of reasons why someone with a business degree would benefit from becoming a CPA. First and foremost, there will always be a demand in the job market for CPA’s. They are highly qualified individuals in the world of business, and often fulfill roles that are crucial to the success of the companies and organizations they are employed by. Not only is the job market promising, but becoming a CPA will also help to earn you an above average starting salary with plenty of opportunity for advancement. Of course, your prospective salary will depend on your level of experience, the industry in which you are working, and even the city (or state) you choose to work in. In addition to providing advancement opportunity in terms of salary, the CPA designation will also help you climb the corporate ladder. Being a CPA provides you with a huge competitive advantage over other qualified and experienced individuals when it comes to initial hiring processes as well as internal and external promotions. In fact, many executive positions in successful companies all around the world (such as CEO, CFO, Treasurer, or Board Director) are held by individuals who have their CPA designation. Holding such a desired qualification will not only help you up the corporate ladder, but will also open international doors for you. CPA’s are sought after by small, local businesses and large, multinational conglomerates alike. Becoming a Certified Public Accountant is not an easy task, but having those three little letters after your name will no doubt put you a few notches above the rest. Clearly you’ve recognized the value of the CPA designation, but now that you’ve accomplished that, it’s time to decide where to let it take you. Below, we’ve outlined a few different career options that are good starting points for new CPA’s. Choosing to take a more traditional route still leaves you with many options. There are many different types of accounting positions available, each requiring a different set of skills and each providing their own job prospects, advancement opportunities, and salaries. First, you have to choose whether or not you wish to work in public accounting or private accounting. Those who choose public accounting typically provide auditing, tax, or consulting services through a firm; they act as independent third parties and handle clients for the firm. Auditing – this typically involves reviewing a company’s books and determining whether or not their records and practices are up to standard. Public accountants typically provide external auditing services for company’s that are their clients. Tax Services – public tax accountants are responsible for calculating a client’s taxable income, filing necessary documentation, and providing the client with statements summarizing their tax return or tax owing. Consulting – consultants offer advice and guidance on a range of business related topics, including: structuring for tax efficiency, forecasting and projections, financial analysis, and even reporting suggestions, to name a few. Working in the public accounting sector can give you a healthy variety in the type of work you do, and the people you work with. You will most likely deal with multiple clients, each dealing with unique situations and having different needs. 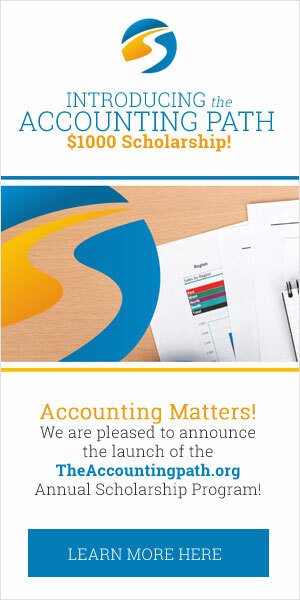 This will enable you to provide an array of accounting services. Those who work in the private accounting sector will be employed by one specific company, rather than working for multiple clients through a firm. While this may limit the types of services you find yourself providing, there are a wider range of jobs to choose from, and each hold their own unique set of benefits. Accounting Clerk – accounting clerks perform a general variety of accounting tasks around the company. These can include but are not limited to: taking care of journals, ledgers, and other financial records; handling payroll; balancing accounts; bank reconciliations; etc. Staff Accountant – staff accountants often handle accounts payable, staff credit, petty cash, and provide additional support for the CFO with a variety of responsibilities. Internal Auditor – internal auditors focus on more specialized areas than external auditors. They look at the company’s risk management, operations effectiveness, financial reliability and compliance, etc. along with providing guidance and developing business plans. Private and public accounting will take you down two separate paths. Both of these paths have their pros and their cons; determining which path is right for you will depend on the type of work you want to do and should also take your personality into consideration. Public accountants take on a much larger variety of tasks, whereas private accountants typically specialize in a certain area. Is there one particular job you are interested in doing, or would you prefer a more varied workload? Additionally, public accountants interact with multiple people on a daily basis, and these people are always changing; a revolving influx of new and return clients. Private accountants interact mainly with the other individuals in their department of work; this means spending time with more familiar faces. Your preference in this regard will be largely influenced by whether you are more of an introvert or an extrovert. Do you enjoy meeting new people, networking, etc. or are you more comfortable around familiar faces and smaller social circles? Both public and private accountants have plenty of opportunities for advancement and growth, and offer competitive salaries and unique job perks. As you can see, neither is better than the other; it simply depends on personal preference. Accounting does not have to be the cut and dry firm work that everyone expects. Don’t be afraid to step outside the box and seek out a more exciting, non-traditional career path. If you wish to throw a more unique spin on your accounting career, the best thing to do is to try and take something you are passionate about and build your career in the business world around that. We know, that sounds like it might be too good to be true, but it doesn’t have to be. Look at the things you are keen on (your hobbies, your interests) and then look to those specific industries; these industries may be considered unconventional in terms of the accounting world but where money is involved, accountants are needed. If you have an interest in the entertainment industry, consider looking for work handling production budgets for films. If your favourite hobby is to watch hockey or football every night, remember that professional sports teams all have payrolls that need taking care of. Perhaps you are passionate about saving the environment or helping the less fortunate? Look no further than towards your local not-for-profit organizations. Any business, organization, or company that brings in revenue, pays employees, or handles money in essentially any way, will require someone with an education in accounting to handle these affairs. Sure, it won’t be as easy landing an accounting job in such a specialty industry, such as film or sports, as it would be to find a same-old, vanilla accounting job at some firm. However, having essentially the most prestigious accounting qualification (AKA your CPA designation) proves your skills, knowledge and dedication, and will set you a notch (or two) above anyone else who is not. When looking for these non-traditional positions, being a CPA is almost a necessity. We’ve given you a lot to think about above, and that’s sometimes the hardest part – making a decision. That’s the first step to starting your job search as a new CPA. As outlined above, you must choose whether or not you wish to take the traditional route – which can be broken down further into either private or public accounting – or to take a completely unique approach to your career and try and get your foot into a non-accounting related industry. As you can see, there are plenty of career options for new CPA’s that are sure to suit any career goals you may have. Once you’ve made this decision it’s time to the actual job search. Getting a job as an accountant is a similar process to that of any other industry. A successful job hunt will require you to network, network, and network some more; ensure your resume is up-to-date, clean, and professional; and last but not least, prep yourself for your interviews. It may take a few rejections, as the market for savvy and experienced accountants is only becoming more competitive as the years pass, but don’t give up. Stay focused, and prove to potential employers that you are determined, dedicated, and deserve the position. CPA’s are, and always will be, high in demand both in every industry and all across the world. Becoming a CPA is an enormous accomplishment and will have you on your way to a successful and fulfilling career in no time.